For 35 years, The Shepherd’s Center of Richmond has been a leader in the field of aging. We continue to make a significant impact. We invite you to participate with us through your support. You are welcome to visit OUR PROFILE on Give Richmond, and please do not hesitate to contact our executive director, Julie Adams-Buchanan, at jadams@TSCOR.org or (804) 355-7282 for more information. The Shepherd’s Center of Richmond is a 501(c)(3) corporation. Your donation is 100% tax-deductible. How to Donate If you would like to use a check, make it payable to The Shepherd’s Center and write “donation” in the note field of the check. Please include your name and address so that we can acknowledge your gift. Then kindly send it by mail to our office at 3111 Northside Avenue, Suite 400, Richmond, VA 23228. If you would like to use a credit card, please CLICK HERE. Why to Donate What makes TSCOR unique is that all of our programs and services are provided by volunteers. There is very little cost beyond our basic office expenses. Our drivers use their own vehicles with no reimbursement for gas or tolls. No teachers or lecturers receive any remuneration. Each year, we employ two full-time and two part-time staff members who manage the operations of the Center and the coordination of over 300 volunteers. We receive no government or United Way funding. The Shepherd’s Center of Richmond is one of the last three organizations in the Richmond metro area that provides cost-free transportation to medical appointments for seniors. Many foundations are reluctant to give grants solely for operating expenses. This is an ongoing challenge for us. Our business model is so efficient and effective that operating funds are mostly what we need. For this reason, we rely on the support of individuals like you. You make it possible for a senior to have caring, compassionate, reliable transportation to medical appointments, free of charge. You directly help someone in our community to have access to healthy, nutritious food. You alleviate the burden of loneliness and isolation. You promote healthy living through education and socialization. You support and supply tools for the volunteers who provide their time and talents to our many programs. You believe that a person’s humanity, dignity and value do not decline with age. Gift of Appreciated Stock. One of the most tax efficient ways to support The Shepherd’s Center of Richmond (TSCOR) is a gift of appreciated stock. The donor gets the full value of the stock as a tax deduction but does not have to pay capital gains on the appreciated value of the stock. 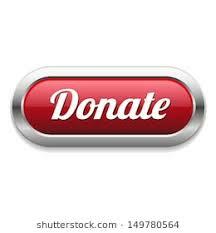 One can also donate from an IRA by donating a portion of the Required Minimum Distribution tax free. TSCOR has an established procedure, complete with appropriate paperwork, to make this process simple and easy. If you are interested in donating appreciated equities please contact Paula Grimes at pgrimes@TSCOR.org or 804-355-7282. She will gladly assist you in the process. Notify Your Employer. Many employers sponsor matching gift programs and will match any charitable contributions made by their employees (often this includes retired employees). To find out if your company has a matching gift policy, contact your human resources department to see if they are participants. Many companies are involved in this and often it doubles or even triples the donation amount. If your company does not currently match employee donations, ask it to do so. Together, you and your employer can send a charitable message to the Richmond community. Shop AmazonSmile. Do you shop on Amazon? Have you heard of AmazonSmile? It’s a program offered by Amazon that enables you to donate to your favorite charity every time you shop – with no cost to you! It’s easy to do. On your first visit to AmazonSmile (smile.amazon.com), you will be asked to select a charitable organization to receive donations (they will remember your selection). Then you simply go to smile.amazon.com when you want to shop Amazon. A Legacy Gift in the form of a bequest to The Shepherd’s Center of Richmond will ensure that its compassionate work continues for years to come. When you consider The Shepherd’s Center of Richmond in your estate planning, know that your gift will make a lasting impact on the growing number of older people in Richmond. From the Open University to services provided by volunteers, your support helps the Center continue to fulfill its mission for years to come. Our 2016-2017 Annual Report is available. Please click HERE to view the report, or call the office at (804) 355-7282 to request a hard copy. As a part of our 2015-2018 Strategic Plan, approved November 19, 2014, we have new vision, mission and value statements. Please click HERE to view them.